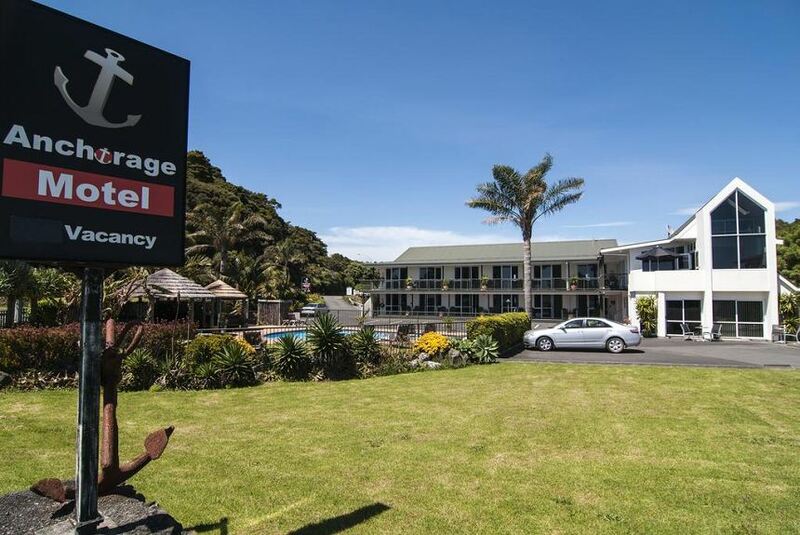 Anchorage Motel is ideally located on Paihia’s waterfront, opposite a white sandy beach. Guest facilities include free Wi-Fi, a tropical garden with spa pool, a swimming pool and a barbecue area. The Anchorage Motel offers fully self-contained units, most with sea views. Each is designed for comfort and relaxation for all guests. Free internet access card is provided on arrival. Continental breakfasts are available on request. Guests also have access to laundry facilities. It is a 5-minute walk along the waterfront to the shops, passing restaurants and cafes on the way. Anchorage Motel provides ample parking, including boat parking for the keen fisherman while in the Bay of Islands. The tour desk can help with any fishing requests, boat cruises to the Hole in the Rock, and trips to swim with the dolphins.